The Arborg & District Multicultural Heritage Village is a museum that showcases buildings and stories that are a proud part of our past. 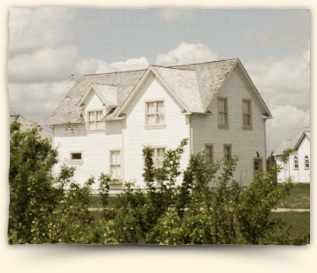 We offer guided tours of homes, a church, a school, and other relics of days gone by. Our museum pays tribute to the wide variety of cultures that have called this region home over the years, with buildings and artifacts that represent Icelandic, Ukrainian, Polish and Indigenous cultures, among others. We step into the past in a fun and educational way, offering different events for children to learn and seniors to relive wonderful memories. Located along the Icelandic River, our 12.9 acre plot is a peaceful place to visit and spend a nice summer day. The Heritage Village also features a campground, complete with electricity, fire pits, picnic tables and washrooms available for use at all hours of the day.